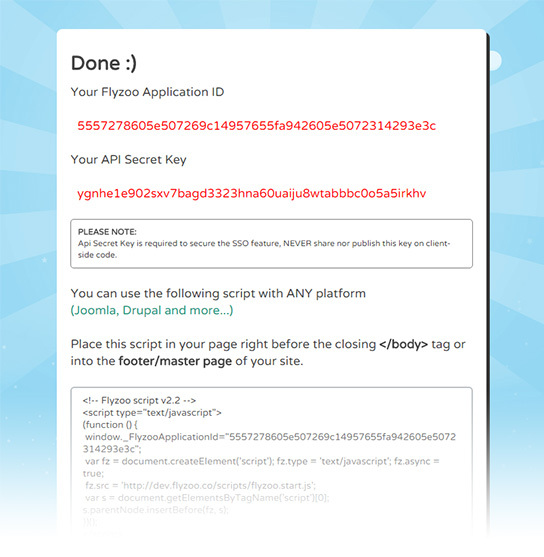 skip to the Get the script from Flyzoo Dashboard section. 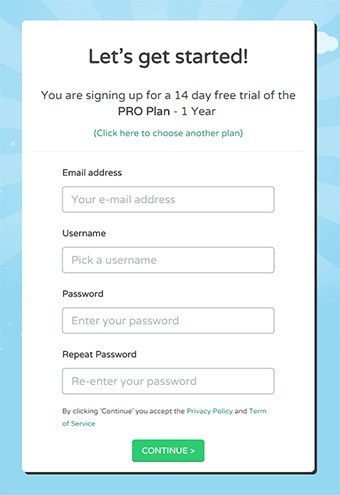 1) Click on Sign up and create your account. 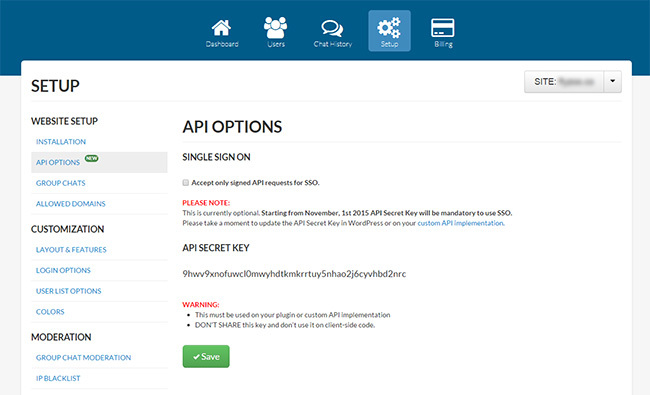 2) Enter your website address, customization options, and click "CONTINUE >" to generate the script. 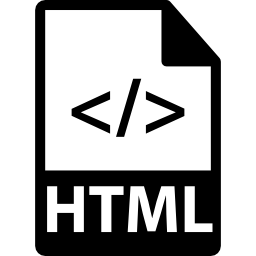 4) Use your favorite HTML editor to paste the script into your website's HTML code. 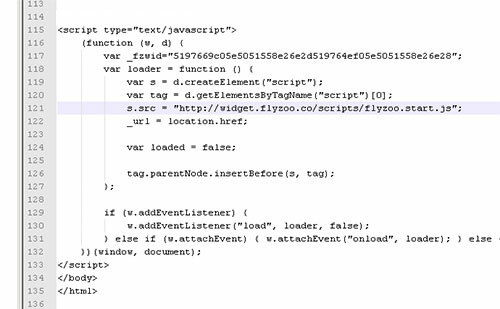 Save and reload the page, you should see the Flyzoo Dock standing at the right bottom of your website. WELL DONE! 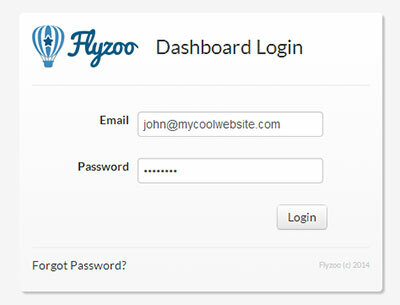 Flyzoo is installed, ad you are set as Administrator for the website. 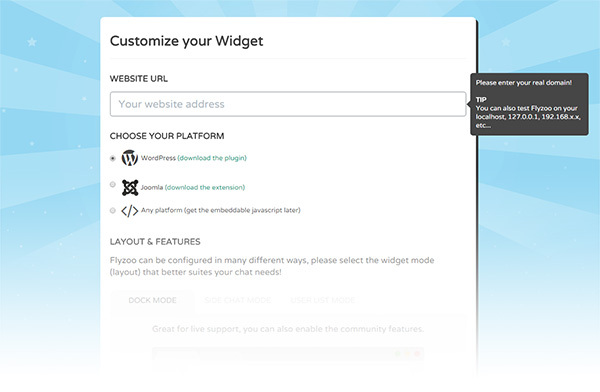 Now you can log into the Dashboard to setup welcome messages, features and colors, create chatrooms and more! 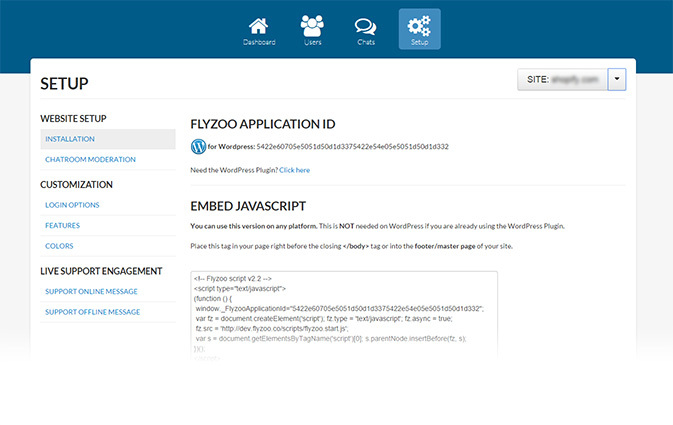 If you joined Flyzoo previously using an e-mail address, you can already use the Dashboard (http://dashboard.flyzoo.co) to get the script for your website. WARNING If you joined Flyzoo using FACEBOOK, you need to create another account (using an e-mail address). 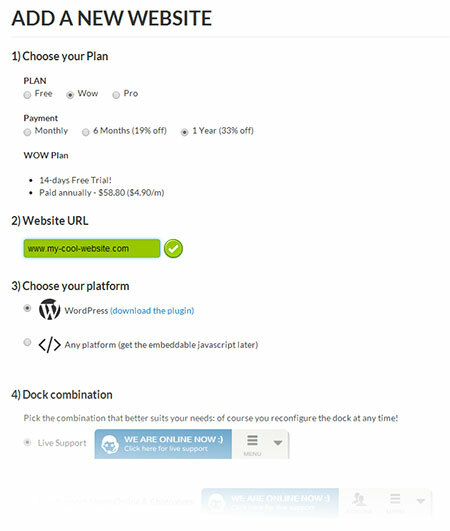 3) Choose a plan, enter your website and customization options, then click on "CONTINUE"
4) The Dashboard will redirect you to the "SETUP Section", here you can get the script (or Flyzoo Application ID for WordPress). Follow the steps described on the "Get the script from Flyzoo.co" above.